The main purpose of this study is to investigate CSR activities of national, foreign and private banks listed in Borsa İstanbul (BIST) 30 Index in Turkey and reveal the differences between these banks in terms of the fulfilment of their social responsibilities. Within this scope; the concept of CSR, CSR definitions, the main reasons of CSR activities and four dimensions of CSR constitute the conceptual framework of the study. On the other hand; shareholder theory, stakeholder theory and institutional theory establish the theoretical framework of this study. In parallel with the study purpose, CSR practises of three different banks listed in BIST 30 Index as of the second quarter of year 2016 were analyzed. The relevant data were acquired from archival sources such as corporate governance compliance reports, annual sustainability reports and official company websites. 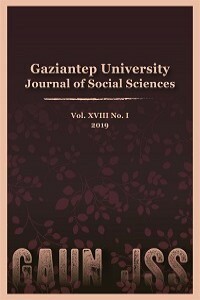 The qualitative research was considered to be useful method to clarify the differences in social responsibility practises. For this reason, content analysis as a qualitative research method was used in order to investigate CSR activities of banks. Research findings reveal that there are not significant differences between Isbank (private bank) and VakıfBank (national bank) with regard to the fulfilment of their social responsibilities. On the other side, Garanti Bank (foreign bank) implements more CSR practises in comparison with other banks. This dissimilarity is also observed among CSR headings. All in all, a great majority of CSR activities are carried out about environmental conservation and stakeholders. Bu çalışmanın temel amacı, Borsa İstanbul (BİST) 30 Endeksi’nde işlem gören bankaların kurumsal sosyal sorumluluk faaliyetlerini araştırmak ve sosyal sorumluluklarını yerine getirme hususunda aralarındaki farklılıkları ortaya koymaktır. Bu kapsamda; KSS kavramı, KSS tanımları, KSS faaliyetlerinin başlıca nedenleri ve KSS’nin dört boyutu çalışmanın kavramsal çerçevesini teşkil etmektedir. Diğer taraftan; hissedar kuramı, paydaş kuramı ve kuramsal kuram ise çalışmanın teorik altyapısını oluşturmaktadır. Çalışmanın amacı doğrultusunda, 2016 yılının ikinci çeyreğinde BIST 30 Endeksi’ndeki üç farklı bankanın KSS faaliyetleri incelenmiştir. İlgili veri şirketlerin; kurumsal yönetim uyum raporları, yıllık sürdürülebilirlik raporları ve resmi internet siteleri gibi arşivsel kaynaklardan elde edilmiştir. Sosyal sorumluluk uygulamalarındaki farklılıkları açıklığa kavuşturmak için nitel araştırma metodunun uygulanması düşünülmüştür. Bu nedenle, bankaların kurumsal sosyal sorumluluk uygulamalarındaki farklılıkları araştırmak amacıyla nitel araştırma yöntemlerinden içerik analizi kullanılmıştır. Araştırma sonuçları, sosyal sorumlukların yerine getirilmesi bakımından İş Bankası (özel banka) ile Vakıfbank (kamu bankası) arasında önemli bir fark olmadığını göstermiştir. Öte yandan, bu bankalara nazaran Garanti Bankası (yabancı banka) daha fazla KSS uygulaması yürütmektedir. Bu farklılık, KSS başlıkları arasında da gözlemlenmiştir. Genel olarak değerlendirildiğinde, KSS faaliyetlerinin büyük çoğunluğunun çevre koruma ve paydaşlar hakkında gerçekleştirildiği görülmüştür. Abbott, W. F. & Monsen, R. J. (1979). On the measurement of corporate social responsibility: Self-reported disclosures as a method of measuring corporate social involvement. Academy of Management Journal, 22(3), 501-515. Aktan, C. C. & Börü, D. (2007). Kurumsal sosyal sorumluluk. İstanbul: İgiad. Anderson, J. C. & Frankle, A. W. (1980). Voluntary social reporting: An iso-beta portfolio analysis. The Accounting Review, 55, 467-479. Ataman, G. (2001). İşletme yönetimi: Temel kavramlar ve yeni yaklaşımlar. İstanbul: Türkmen. Basu, K. & Palazzo, G. (2008). Corporate social responsibility: A process model of sensemaking. Academy of Management Review, 33(1), 122-136. Bilgehan, M. (2012). A comparative analysis of corporate social responsibility practices of Turkish companies and companies with foreign ownership (Unpublished Master’s Thesis). Bogazici University, İstanbul. Blaikie, N. (2000). Designing social research: The logic of anticipation. Cambridge: Polity Press. Bowman, E. H. & Haire, M. (1975). A strategic posture toward corporate social responsibility. California Management Review, 18(2), 49-58. Bryman, A. (1988). Quantity and quality in social research, London: Unwin Hyman. Bryman, A. & Bell, E. (2007). Business research methods, New York: Oxford University Press. Campbell, J. L. (2007). Why would corporations behave in social responsible ways? An institutional theory of corporate social responsibility. Academy of Management Review, 32, 946-967. Carroll, A. B. (1991). The pyramid of corporate social responsibility: Toward the moral management of organizational stakeholders. Business Horizons, 34(4) 39-48. Carroll, A. B. (1999). Corporate social responsibility. Business & Society, 38(3), 268. Carroll, A. B. & Buchholtz A. K. (2000). Business and society: Ethics and stakeholder management. Cincinnati: South Western College Publishing. Cresswell, J. W. (2007). Qualitative inquiry and research design: Choosing among five approaches. Thousand Oaks, CA: Sage Publications. Daft, R. L. (2000). Management. New York: The Dryden Press. Davis, K. (1960). Can business afford to ignore social responsibilities? California Management Review, 2(3), 70-76. Davis, K. (1973). The case for and against business assumption of social responsibilities. Academy of Management Journal, 16(2), 312-322. Davis, K. (1976). Social responsibility is inevitable. California Management Review, 19(1), 14-20. DiMaggio, P. J. & Powell, W. W. (1983). The iron cage revisited: Institutional isomorphism and collective rationality in organizational fields. American Sociological Review, 48(2), 147-160. Donaldson, T. & Preston, L. E. (1995). The stakeholder theory of the corporation: Concepts, evidence, and implications. Academy of Management Review, 20(1), 65-91. Drucker, P. (1954). The practice of management. New York: Harper & Row. Erden, P. (2011). Çalışanların kurumsal sosyal sorumluluk algılarının örgütsel bağlılıkları üzerine etkisi: Karşılaştırmalı bir araştırma (Yayınlanmamış Yüksek Lisans Tezi). Gazi Üniversitesi, Ankara. Ertuna, B. & Tükel, A. (2009). CSR practises in Turkey: In between traditional and global. Journal of Management Research, 9(2), 145-172. Ertuna, B. & Tükel, A. (2010). Traditional versus international influences: CSR disclosures in Turkey. European Journal of International Management, 4(3), 273-289. Ferrell, O. C., Fraedrich, J. & Ferrell, L. (2005). Business ethics: Ethical decision making and cases, New York: Houghton Mifflin. Frederick, C., Davis, W. & Post, E. J. (1988). Business & society: Corporate strategy, public policy, ethics. New York: McGraw-Hill Education. Freeman, R. E. (1983). Stockholders and stakeholders: A new perspective on corporate governance. California Management Review, 25(3), 88-106. Freeman, R. E. (1984). Strategic management: A stakeholder perspective. Englewood Cliffs, NJ: Prentice Hall. Friedman, M. (1970). The social responsibility of business is to increase its profits. New York Times Magazine, September 1. Garriga, E. & Mele, D. (2004). Corporate social responsibility theories: Mapping the territory. Journal of Business Ethics, 53, 51-71. Gray, R., Kouhy, R. & Lavers, S. (1995). Constructing a research database of social and environmental reporting by UK companies. Accounting, Auditing & Accountability Journal, 8(2), 78-101. Gülmez, E. (2011). Kurumsal sosyal sorumluluk çalışmalarının kurum imajına etkisi üzerine bir araştırma (Yayınlanmamış Yüksek Lisans Tezi). Marmara Üniversitesi, İstanbul. Güngör, C. R. (2010). Kurumsal sosyal sorumluluk kampanyalarının işletmeye olan katkıları (Yayınlanmamış Yüksek Lisans Tezi). İstanbul Üniversitesi, İstanbul. Hopkins, M. (2003). The planetary bargain: Corporate social responsibility matters. London: Earthscan Publications. Ingram, R. W. (1978). An investigation of the information content of (certain) social responsibility disclosures. Journal of Accounting Research, 16, 270-285. Jensen, M. C. (2002). Value maximization, stakeholder theory, and the corporate objective function. Business Ethics Quarterly, 12(2), 235-256. Kalkan, S. (2008). Quality of information produced by producers: Greenwashing or can we really trust? Consumer Citizenship, 4, 93-107. Kotler, P. & Lee, N. (2005). Corporate social responsibility. New Jersey: John Wiley & Sons, Inc.
Lee, M. P. (2008). A review of the theories of corporate social responsibility: Its evolutionary path and road ahead. International Journal of Management Reviews, 10(1), 53-73. Leedy, P. D. (1989). Practical research, New York: Macmillan. Lewitt, T. (1958). The dangers of social responsibility. Harvard Business Review, 36(5), 41-50. Matten, D., Crane, A. & Chapple, W. (2003). Behind the mask: Revealing the true face of corporate citizenship. Journal of Business Ethics, 45(1), 109-120. Matten, D. & Moon, J. (2008). Implicit and explicit CSR: A conceptual framework for a comparative understanding of corporate social responsibility. Academy of Management Review, 33(2), 404-424. McGuire, J. W. (1963). Business and society. New York: McGraw-Hill. McWilliams, A. & Siegel, D. S. (2001). Corporate social responsibility: A theory of firm perspective. Academy of Management Review, 26, 177-127. Meyer, J. & Rowan, B. (1977). Institutionalized organizations: Formal structure as myth and ceremony. American Journal of Sociology, 83(2), 340-363. Porter, M. E. & Kramer, M. R. (2002). The competitive advantage of corporate philanthropy. Harvard Business Review, 80(12), 56-68. Sakarya, S., Bodur, M., Yildirim-Oktem, O. & Selekler-Goksen, N. (2012). Social alliances: Business and social enterprise collaboration for social transformation. Journal of Business Research, 65(12), 1710-1720. Saunders, M., Lewis, P. & Thornhill, A. (2009). Research methods for business students. Essex: Prentice Hall. Wood, D. J. (1991). Corporate social performance revisited. Academy of Management Review, 16, 691-718. Yamak, S. (2007). Kurumsal sosyal sorumluluk kavramının gelişimi. İstanbul: Beta. Zucker, L. G. (1977). The role of institutionalization in cultural persistence. American Sociological Review, 42(5), 726-743.